Deorro’s highly anticipated debut artist album, Good Evening, is out now on Ultra Music. The product of three years of songwriting, the 24-track concept album spans multiple genres; showcasing Deorro’s diverse production capabilities, tastes and talents. While fans are already familiar with the bouncy lead single “Rise & Shine” and the second release “Feeling Pretty Good,” the bulk of the album has remained a mystery until now. With eight theatrical interludes separating the tracks, the album is a culmination of styles including progressive house, future house, dubstep and even a touch of ambient. Highlights include “Turn Back Time,” the newest single off the album and a vocal driven funky electro number, “Bomba,” a hip-hop dance hybrid packed with wonky sounds, “Find a Way,” a trance-style electro track and the “Honest Man,” more somber, guitar driven work. Deorro rounds out the LP with the ballad “Tell Me Lies,” the soulful “Let It Go,” and “Lady,” which floats over an ambient and downtempo cloud. “First of all thank you guys for being the greatest fam I could ever ask for, I’d be nowhere without any of you! Thank you so much for supporting and showing love since the Tonic days, I hope you enjoy the new album!” comments Deorro with excitement. A Los Angeles native and proud Mexican-American, Deorro is renowned as a prodigy in the progressive house world and is the recipient of a 2014 EMPO Award for Best Latin American DJ. He’s also recognized for his massive collaboration with Grammy/Latin Grammy Award-winning Merengue singer Elvis Crespo for “Bailar,” an uptempo worldwide Latin / Dance hybrid smash which hit the Top 10 in 18 countries, #1 in 3 countries, #1 Shazam in 3 markets and Platinum in 4 countries as well as breaking through the US Top 40 chart. “Bailar” has amassed over 88 million streams on Spotify and 45 million plays for the official video on YouTube. After hearing “Bailar,” global hitmaker Pitbull immediately came on board adding his vocals to a new version of the song. This version has now been nominated for “Tropical Song Of The Year” at the 2017 Billboard Latin Music Awards which airs live on Telemundo this April 27. 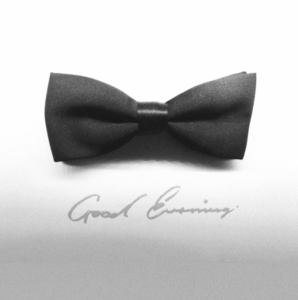 Good Evening is a piece of work that showcases Deorro’s continued growth as an artist and dedication to music.